This entry was posted in Omega Force, Romance Paranormale, Susannah Sandlin. Bookmark the permalink. 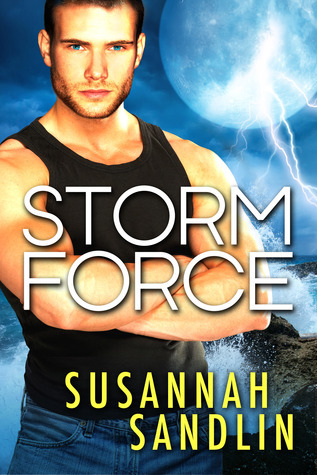 Great review Melliane, I’m adding Storm Force to my TBR. Great review I really need more shifter books in my life I’ll have to keep this one in mind! I already like the sounds of Mori she seems like a mysterious and intriguing characters! Great review, doll! Interesting… a human who can lead a « pack ». How did he pull that off? Must be an amazing person to gain that much respect. Id read this for the hero alone. I’ve got to read this! OH zowwie I still can’t believe you write the review up once in english and then in french. You have a lot of dedication. Sounds like a tasty paranormal romance I may have to give a try! Great review Melliane, I still have to read this book, but it is on my shelves.